SBC 350: RV2 Cam, Edelbrock 2101 Intake, Edelbrock 1406 650 CFM Carb, High Compression Dome Pistons, and Full Hydrolic Roller Rockers. 7&quot; H4 Off Road Lights. 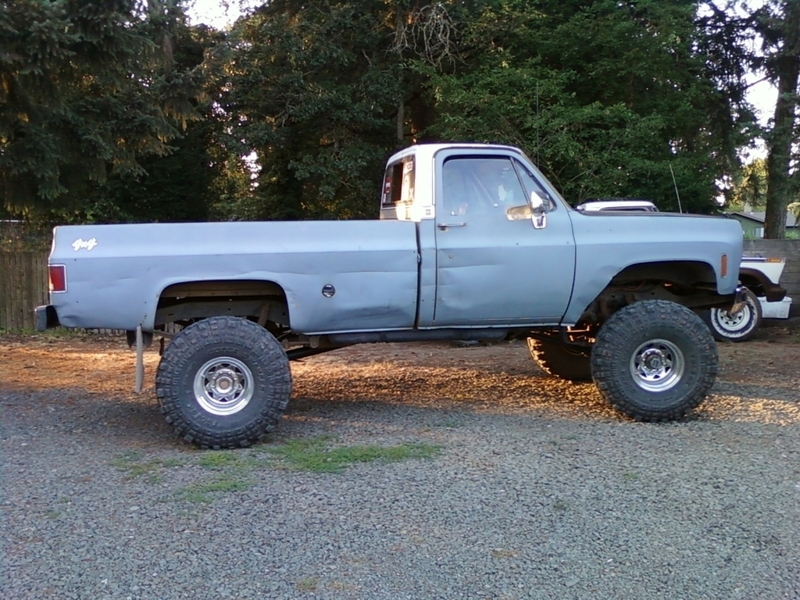 6&quot; Skyjacker Suspension Lift, 3&quot; Daystar Body Lift, Custom Shackles up Front and Shackle Flip Kit in the Rear. TOTAL Lift: 12&quot; Front 13&quot; Rear. 39.5x13.50x16 Super Swamper IROK's on Weld Aluminum wheels. 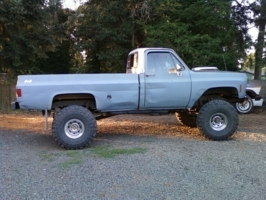 Added my 1976 Chevrolet K20!